This new edition of "The Green Ray" brings the rarely available title by the famous French author Jules Verne to a new generation. 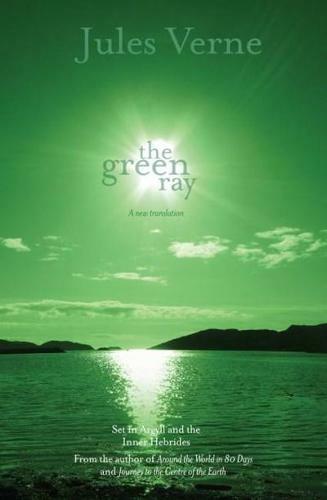 The mysterious scientific phenomenon of the green ray is unpredictable and elusive. When Helena hears of its apparent mystical effects on the mind and soul she enlists her uncles and two very different suitors, one artist and one amateur scientist, to find it. They travel to Scotland to seek to catch a glimpse of green rays which shoot out from the sunset. Their numerous attempts are always unsuccessful, thwarted by clouds or boats blocking the sun, until finally the phenomenon is visible, but they are no longer watching the horizon.